According to Eliade, man becomes aware of the sacred because the sacred shows itself and develops itself into something entirely different and far from mundane (Eliade 8). However sometimes it is entirely up to a person’s interpretation, society, cultural, and spiritual beliefs to feel that something is sacred. This issue presented itself with the controversy of the Yucca Mountain; while it was sacred to the Shoshone and Paiute, the Federal Government felt that the area was the best place to dump nuclear toxic waste. The Yucca Mountain is a ridge of volcanic rock that extends seven miles and is closed to the public because of government testing (Houston 417). However, the land is sacred and the Indigenous tribes feel like they are spiritually responsible to protect and take care of the land (Stoffle 754). Which leads to the controversy: should the land be declared sacred or treated as a chemical waste dump? This issue will be further explained and illustrated by looking at the two opposing opinions—the sacredness or a prime area for nuclear storage—for the Yucca Mountain and the eventual outcome. 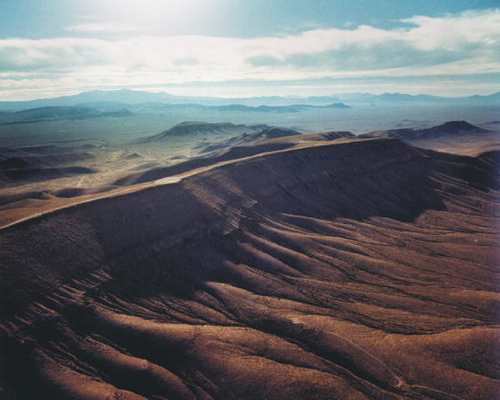 In the 1970s, scientists began to investigate areas for a potential nuclear storage area and the Yucca Mountain became a possible spot because of its dry climate that was thought to prevent chemical leakage (Corbin). In 2002, President Bush signed a bill officially marking the Yucca Mountain as the nation’s central area for a nuclear waste deposit (Corbin). However, according to the Treaty of Ruby Valley the land had been limited to the Shoshone and Paiute but never yielded (Houston 426). Since the land technically belonged to the indigenous tribes of the area it is unjust that the US government now owns about 90% of their land (Corbin). The government is further digging into the wound by throwing America’s nuclear waste in the indigenous sacred “holy land” and thus only increasing the controversy between rights of the land and the sacredness of it. The Western Shoshone believe that the Yucca Mountain is a snake mountain and the rock rings developed on the mountain transmit prayers from the Great Spirit to the people (Corbin). Comparably, the Paiute believe that the land is a source of cultural and spiritual connection that nourishes the soul of their people (Stoffle 756). Thus, the Yucca Mountain is an axis mundi in their beliefs. It is an area that is central to their beliefs as well as connects the heaven, earth, and underworld with the people (Eliade). Additionally, the Yucca Mountain does not carry earthly context, of it is a sacred snake that might potentially do harm if damaged. It was inferred by one of the indigenous tribes that one day the snake would awaken and split open and spew poison (Corbin). This premonition could indicate geologically to the volcanic activity or nuclear leakage from the nuclear storage area underneath the mountain. Unfortunately, presenting the case of sacredness does not hold up in court for the environmental preservation of the mountain. It is extremely frustrating to the Shoshone and Paiute that the government will recognize their tribes as sovereign but will not recognize their traditional culture and rights to this land (Stoffle 758). Thus, in order to stop further damage of the land, help was needed from outside groups. They Shoshone and Paiute enlisted the help from environmentalists and other humane groups that were worried about the impact of the nuclear waste on the environment and people of the area. 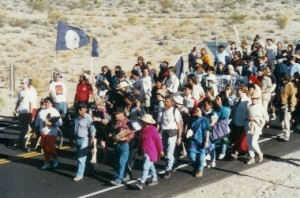 More than 200 groups of indigenous and non-indigenous people joined forces to challenge the Yucca Mountain Project because of environmental issues (LaDuke). One prominent environmental issue was that the surface water would become infected with the highly toxic nuclear waste as it flowed into the mountain (Corbin). Thus this would affect the areas and habitat around the Yucca Mountain and those who drink from the water. This irreversible harm would also fundamentally hurt the Shoshone spiritually since it greatly damaging the Nature of the Yucca Mountain. Therefore, various groups generated petitions and used storytelling to spread awareness of the issue as well as illustrated the battle of people and the environment against the government (Houston 422). Additionally, Indigenous people also wrote books to help connect the ecological and spiritual themes of the controversy and to spread awareness of their culture (Houston 422). Gate March. The Western Shoshone and the Treaty of Ruby Valley. However, while many supported the protest to band the nuclear project some were in full support and didn’t even recognize the sacredness of the site. It seemed like the they were more focused on fighting the environmental aspects of the opposition and did not even mention the Shoshone or Paiute fighting for their rights to the land because of its sacredness. The perfect quote that illustrated this lack of attention to the Shoshone and Paiute would be from Senator Lindsey Graham; “God made Yucca Mountain for the express purpose of storing high level nuclear waste. There is nothing within the 100 miles of the place” (LaDuke). This comment ignored the presence of many indigenous tribes within the area. Although it was argued that land was closed to civilians thus rendering it unusable to people, this did not mean that the indigenous people stopped participating in ceremonies of their tradition and nurturing their spiritual connection to the Yucca Mountain (Stoffle 754). The cultural impact on the Shoshone and Paiute was not accepted by the Department of Energy as a valid reason to stop the project (Stoffle 764). Many believed that this project was going to solve the problem of nuclear waste and the project had already spent tremendous amount of money to develop the underground passages and 5-mile exploration tunnel (Davidson; Houston 424). In result of the time and money spent People were becoming frustrated with the delays on the project because of the protest since thousands of deadly radioactive nuclear rods were accumulating at nuclear power plants (Davidson). In a sense the people that wanted the continuation of the Yucca Mountain Project argued that the Yucca Mountain was already damaged and it would solve the problem of the nation’s highly dangerous chemical waste. Overall, in 2009 Barack Obama indicated that the Federal Government would begin to explore other options for storing the nuclear waste. Additionally, the Department of Energy had officially, in 2010, filed a notion to withdraw the license of the project at Yucca Mountain (Corbin). However, it is really interesting to point that because of environmental issues the project was delayed and finally cancelled. This was not the win that the Shoshone or Paiute desired. And although the Yucca Mountain is safe for now, the damage of their sacred mountain still takes a devastating toll on the indigenous tribes in the area whom are trying to connect traditionally to their ancestors. The land still “belongs” to the government for nuclear weapon testing and is still not recognized as sacred to non-indigenous people. 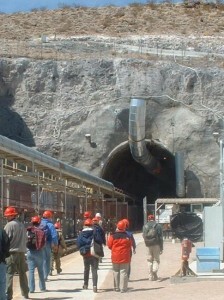 The Shoshone and Paiute should be able to determine what happens to the Yucca Mountain because of their treaty rights and well as because of their spiritual connection to the area (Corbin). Thus, it is important to further educate others on indigenous spiritual connection to the land so that both cultures can appreciate and better help each other. Corbin, Amy. “Yucca Mountain.” Sacred Land Film Project. 1 Apr. 2010. Web. 3 Oct. 2014. Davidson, Keay. “Deadly Nuke Rods Piling up in State / Burial Site Project in Nevada in Limbo.” San Francisco Chronicle. 24 July 2006. Web. 3 Oct. 2014. <http://www.sfgate.com/news/article/Deadly-nuke-rods-piling-up-in-state-Burial-site-2515406.php#photo-2655475>. Eliade, Mircea. “Introduction.” The Sacred and the Profane; the Nature of Religion. New York: Harcourt, Brace, 1959. 8-19. Print. Houston, Donna. “Environmental Justice Storytelling: Angels and Isotopes at Yucca Mountain, Nevada.” Antipode 45.2 (2013): 417-35. EBSCOHost. Web. 3 Oct. 2014. <http://web.b.ebscohost.com/ehost/detail/detail?vid=12&sid=737828f8-f84a-473f-b7f8-163687a51692@sessionmgr110&hid=118&bdata=#db=a9h&AN=85340452>. Stoffle, Richard W., and Michael J. Evans. “American Indians and Nuclear Waste Storage: The Debate at Yucca Mountain, Nevada.” Policy Studies Journal 16.4 (1988): 751-67.EBSCOHost. Web. 3 Oct. 2014. <http://web.b.ebscohost.com/ehost/detail/detail?vid=8&sid=737828f8-f84a-473f-b7f8-163687a51692@sessionmgr110&hid=118&bdata=#db=a9h&AN=11269306>.